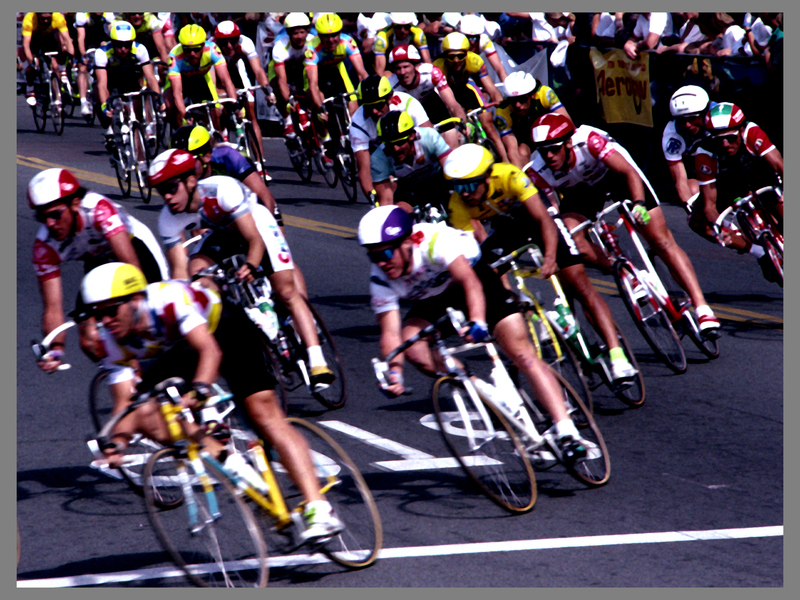 Lance Armstrong (and others)…Your Competitive Edge Was Right Under Your Nose! It’s too bad that Lance Armstrong (and others before him) couldn’t have spoken with some other extraordinary athletes that know firsthand what it means to have a drug-free competitive edge. People like Tiger Woods or 3 time weightlifting champion, Wade Lightheart or Magic Johnson or Jillian Michaels or Olympian ice skating medalist “Elvis“, or the last 2 winners of the Super Bowl and so many more! They all found their competitive edge in a very subtle, ethical and yet POWERFUL way. So powerful, in fact, that some of these pros hesitated to mention what they were doing because they had experienced such profound result; they were concerned that they might be disqualified! All of these extraordinary athletes drink Electrolyzed Reduced Water and they will all testify to the amazing changes in their level of endurance, fewer injuries and sore muscles because of it! In fact, they believe that Electrolyzed Reduced Water took their physical abilities “over the top” giving them a drug-free competitive edge. When it comes to health (and to performance) professional athletes don’t cut corners (at least drug-free ones don’t). They demand the best of the best because they value the body that will turn into cash when it is well fed, well watered, conditioned and nutritionally balanced. They don’t race to Wal-Mart for cheaper food nor do they “settle” when it comes to health and wellness. They don’t buy their supplements at Costco, they don’t buy inferior athletic equipment just to save a few bucks and they DON’T skimp when it comes to water. All of these professional athletes (and a whole lot more where they came from) bought the very best equipment they could find to produce Electrolyzed Reduced Water. These pros are accustomed to lies being written as “truth” about them, their families, their social life and their performance so the don’t buy in to RIDICULOUS posts on the Internet or scare tactics about water options. They each invested wisely. They invested in water equipment that is backed-up by their peers. They banked on longevity on the market and they chose a company that sells and SERVICES in the USA. These athletes are the definition of durability and they insist on the same whenever they can find it. ALL of these athletes opted for Equipment that doesn’t just CLAIM to be the best but has been PROVEN to be the best for 40 years. Most of these athletes proclaim that changing their water to Electrolyzed Reduced Water has been the very best decision for health and for their performance than anything else they’ve ever done! Or perhaps you’d like to talk to the Trump family…they’re believers too. Nothing but the best for that crew! I’m pretty sure that The Donald isn’t easily “sold” so this is quite a testimonial for this amazing product and just another “sign” of his heart for his children and grandchildren! Regardless of your political position; you can take it up with the White House as well. It has been reported that when the Obama’s moved into the big White House they came with Electrolyzed Reduced Water aka Kangen water. Could this be their version of “Obamacare” at the White House? It’s your prerogative to roll your eyes and to think that all of these people (and LOTS MORE) drinking Electrolyzed Reduced Water are idiots OR you could give it a second thought and wonder what THEY might know that you don’t. I’ll bet Lance wishes he had! Try it for FREE...judge for yourself! CLICK HERE for competitive-edge ELECTROLYZED REDUCED WATER! celebrities drink water, Change your water, Green living, Kangen Water, Water, Water Ionizerathletes drinking Kangen water, cancer in america, Danger of Plastic bottles, exposure to chemicals, Has Anybody heard of Kangen water, kangen water, Lance Armstrong, Lance Armstrong competitive ede, What causes disease, who drinks Kangen water? ← Magnesium Deficiency Epidemic? Of course! That’s a No-Brainer! Hey, I forwarded this to my entire email list. It was excellent. I sent it in tact so they could subscribe to your blog. However, they may click n your link for Kangen. I hope they will mention I sent them the email. If not, you may have some new customers.